Tara Bernerd & Partners, lead creative for the interior architecture and design of the newly opened Kimpton Fitzroy, London was appointed to re-imagine and refurbish the interior layouts and design for the entire hotel and commissioned Dernier & Hamlyn to update light fittings and give them a contemporary feel. We manufactured 12 large drape and bag crystal chandeliers that were installed throughout the hotel’s public areas in the 1980s, so were the ideal choice to bring them up to date both aesthetically and technically. 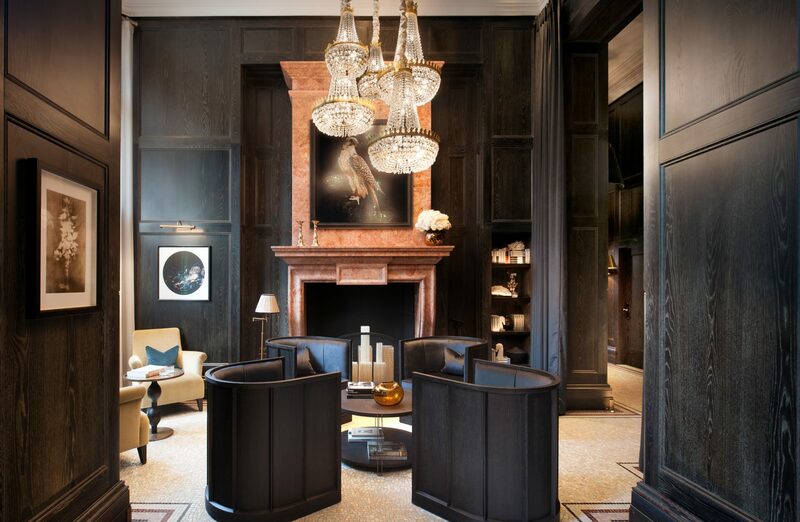 To undertake this specialist work, the chandeliers were removed from the hotel and taken to Dernier & Hamlyn’s London factory where the crystal was meticulously cleaned, the chandeliers’ metalwork restored and the wiring updated to meet regulatory requirements. The chandeliers have been rehung in clusters to give a more current and playful twist to these traditional light fittings.